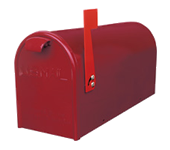 Our Postmaster General approved mailboxes are available in either premium aluminum or high grade steel. Neither will rust and both are made in the USA. The durable polyurethane powder coat with UV protection finish baked-on to our mailboxes is identical to that applied to today's automobiles. 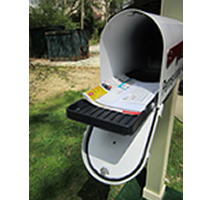 Unlike mailboxes purchased from big box retailers, it will not fade and its original lustre can be maintained with an annual application of automobile wax. Both styles of mailboxes will provide you with good looks and durability for years to come. 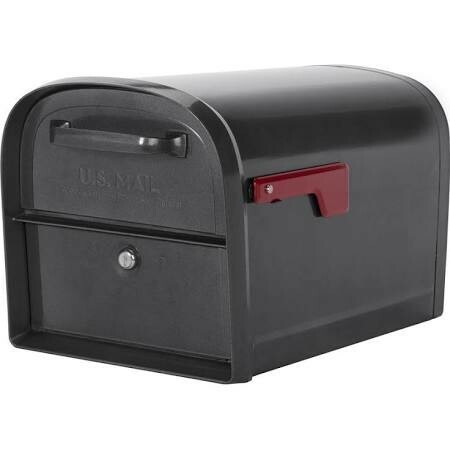 Each mailbox features: three stage durable powder corrosion resistant paint - stainless steel screws, hinges & fasteners - a rubber gasket in the rim of the mailbox door to keep out moisture and insects - a pullout tray that makes it easy to drive up and retrieve your mail - a sturdy aluminum pull handle. Our steel mailboxes combine quality materials with superior American craftsmanship to create the finest mailboxes on the market today. Compare them to mailboxes offered by big box retailers and hardware stores and you will see the difference. Choose your mailbox and give us a call today! The Newport is our most popular model of steel mailbox. It features 12 pounds of heavy steel construction versus a paltry 5.125 pounds for a similar big box retailer steel model. * Hopper delivery door can accept parcels and bundled mail. The Stanard on which all others are judged. 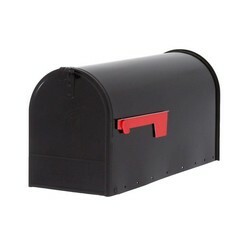 this smart-looking and affordable mailbox is our newest seller! Order yours TODAY! * Measures 9" x 11"
Mailbox Colors! Call for Details! Price of mailboxes does not include post or installation.